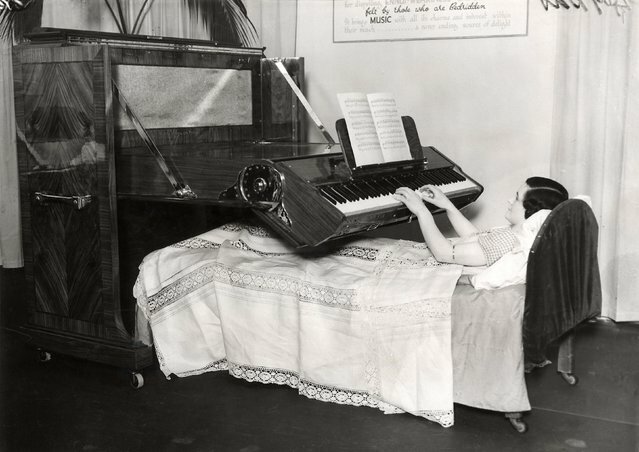 Being bed ridden in 1935 was no excuse for not practicing as this piano bed shows. 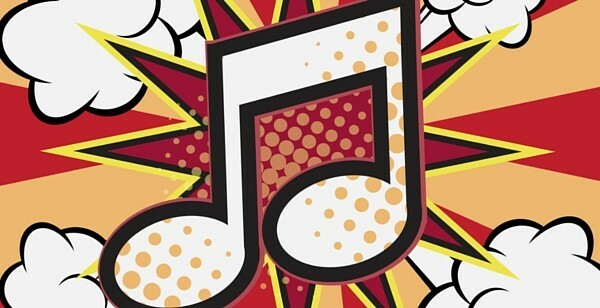 Now, we’re totally mobile but that doesn’t mean we wouldn’t love to play songs from the comfort of our own comfy mattress. 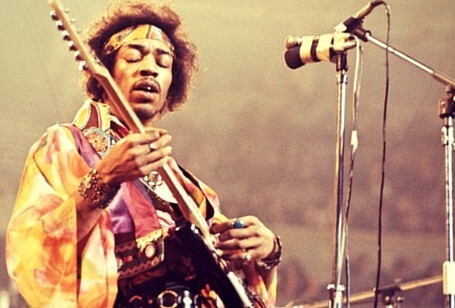 Everyone has a friend that is obsessed with sparkly, glittery things or everything Liberache. 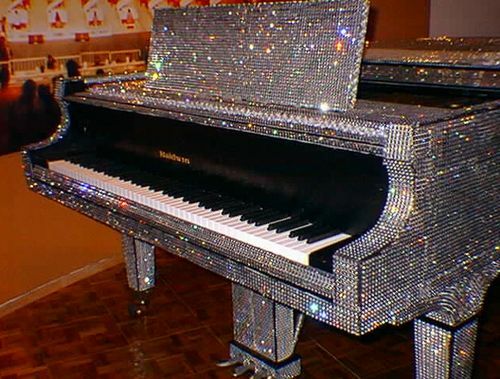 Here is the perfect piano for that friend that just can't help bedazzling everything they own. Can you imagine this Schimmel Pegasus Goquin masterpiece of futuristic heaven sitting in your living room? Since it is uber sleek and painted with Ferrari Rosso Red you shouldn't be surprised that is costs over $400,000 dollars. 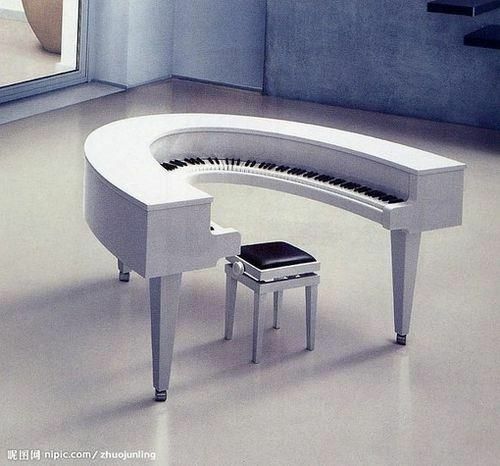 Sometimes those typical straight pianos just aren’t enough. 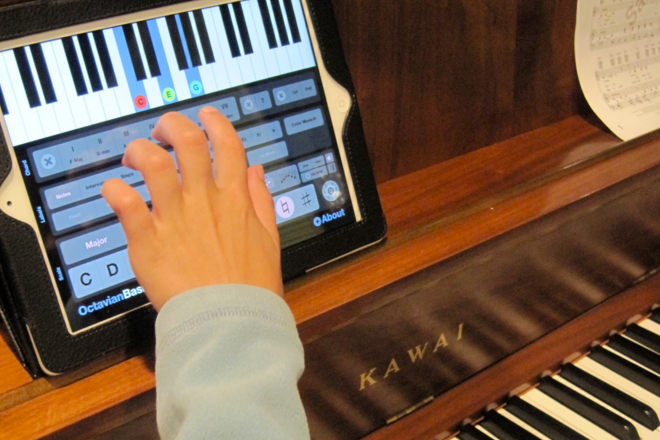 This round one reminds us of a volume knob and you’d certainly need to crank up your energy to run around this piano. 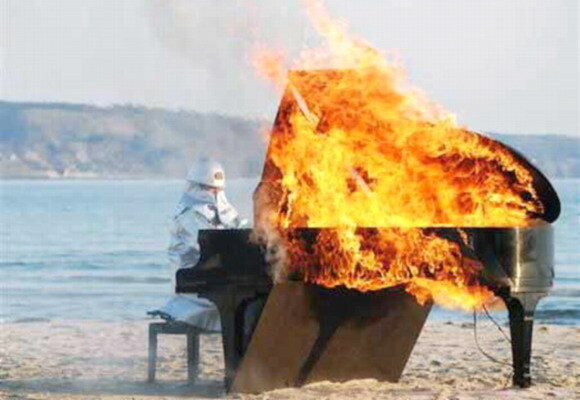 #5 Weirdest Piano: So hot It's On Fire! 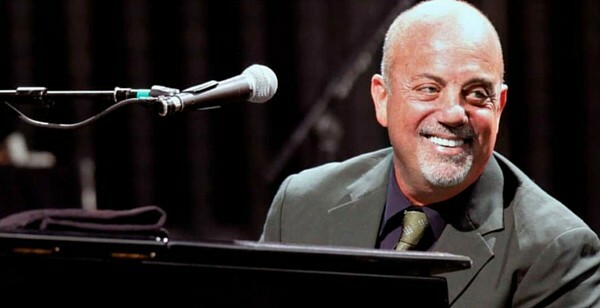 This piano is blazing! Famous Japanese pianist Yosuke Yamashita, in fireproof gear, plays the piano for 10 minutes in this firey performance peice! While we love all things cute and furry just as much as the next person, this special pig tops our list of animals that do it all. 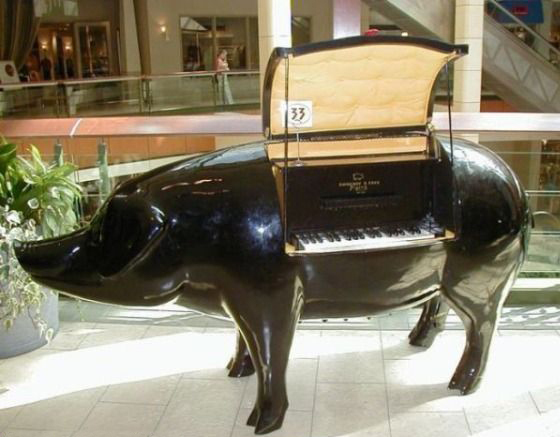 And, no piggy wasn't harmed when a genius built this piano. 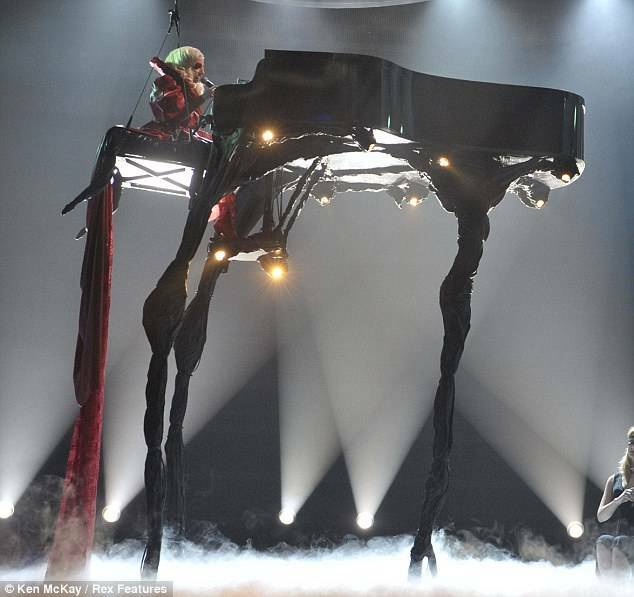 It's no secret that Lady Gaga is all about the show and we know we've already shown you one of her crazy pianos but this one is for every girl who loves her heels! 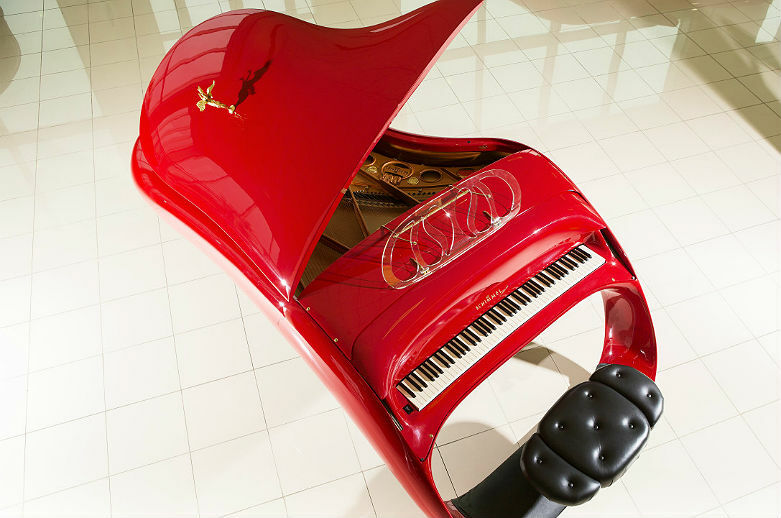 Round pianos and keyboards seem to be a bit of a trend and this one is perfect for anyone who wants to be inside of one. 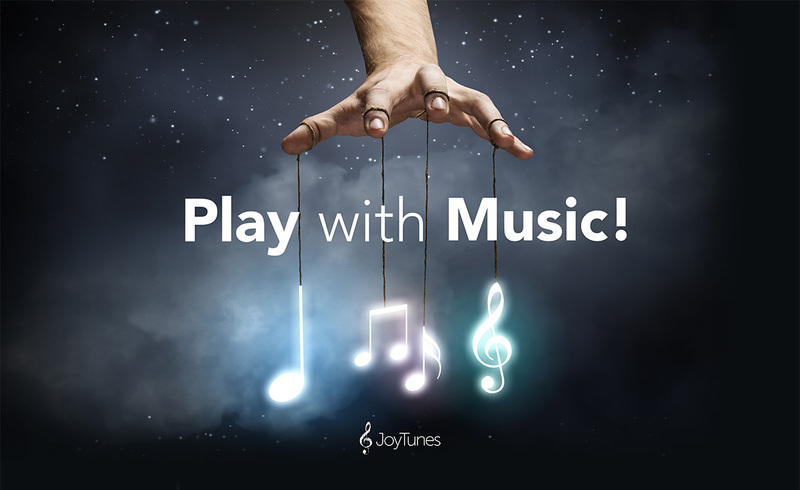 Slide on into the loop and spin around as you play. 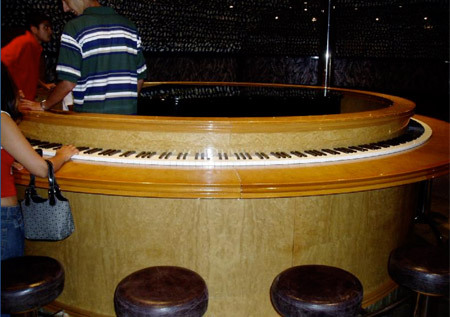 Now this crazy invention gives a whole new meaning to the term "piano bar" because it will actually dispense a custom made cocktail depending on what and how you play! 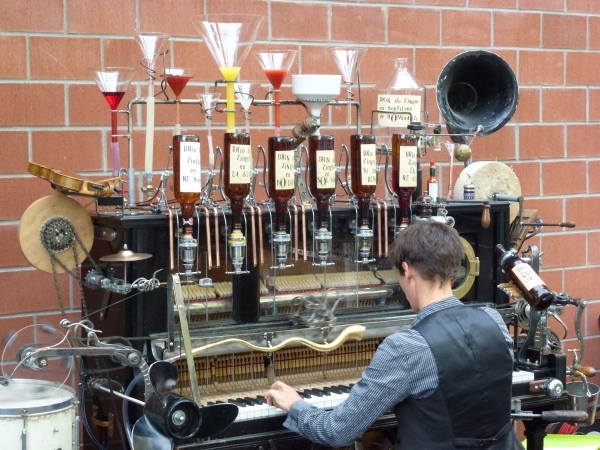 How will your piano drink taste? We have no idea but we're totally willing to find out!